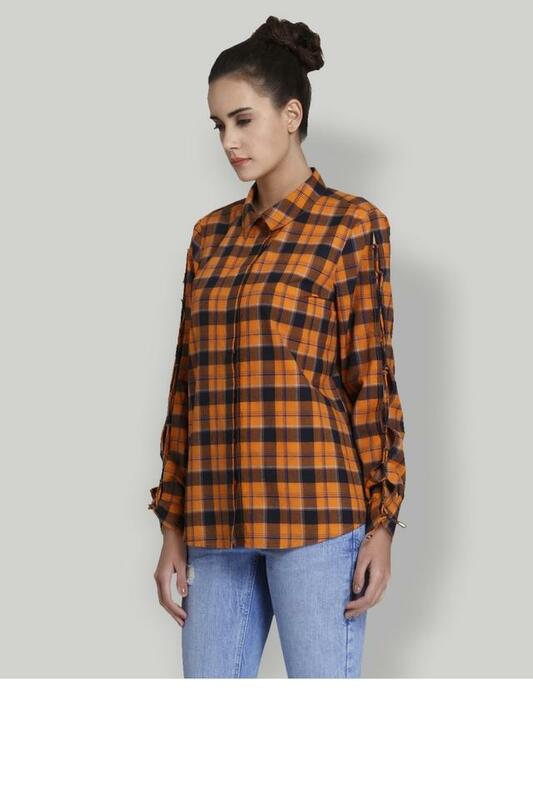 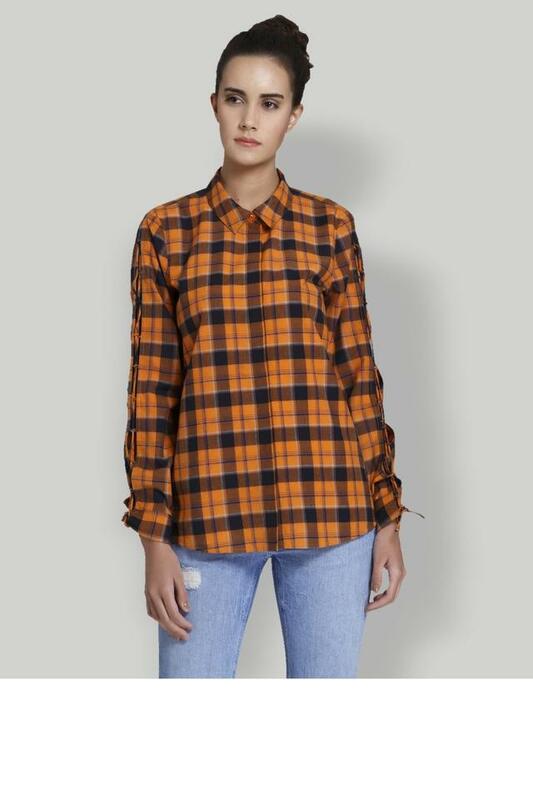 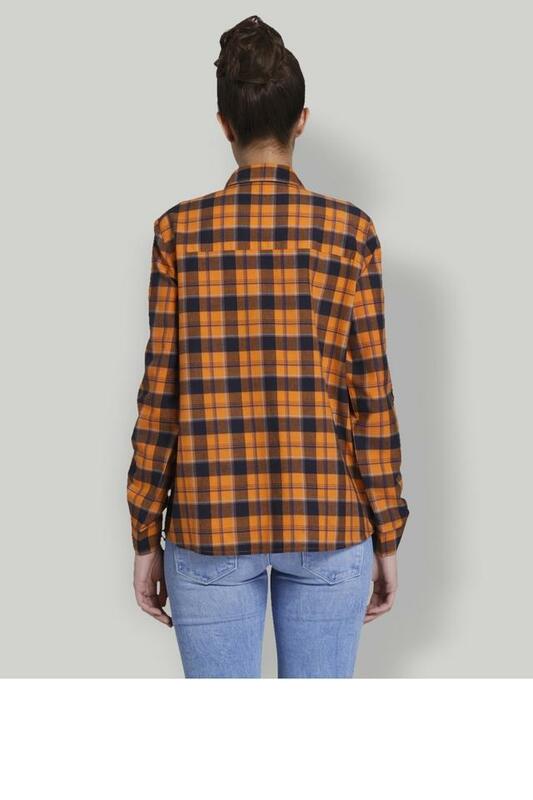 Be a trendsetter by wearing this shirt from Vero Moda. It is crafted from a premium quality fabric, which makes it comfortable to wear all day long. 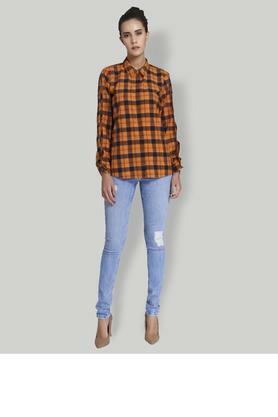 It comes with a collared neck and full sleeves that add to its look. It also features a check pattern that lends it a trendy look. 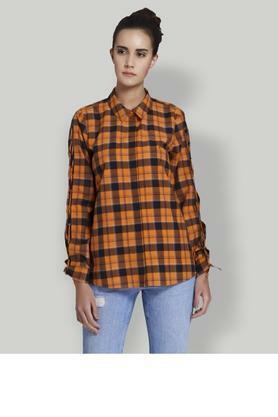 An ideal pick for casual occasions, this shirt will look good with a pair of jeans and canvas shoes. Tailored with a good quality fabric, it can be worn for long hours to stay comfortable.